The Stratford Festival would like to thank both the Government of Canada and the Government of Ontario, which have each contributed $20 million to this project. Theatre is the most ephemeral of arts, but the Stratford Festival offers you an opportunity to be a permanent part of theatre history by contributing to the most significant new theatre project currently underway in North America. The dream of Artistic Director Antoni Cimolino, the new Tom Patterson Theatre Centre will put the Stratford Festival at the forefront of theatrical innovation, enhancing its position as a world leader. The centre will offer spaces for cultural and social engagement, theatrical research and development, and education, with facilities for enhanced student engagement both onsite and in the digital realm. 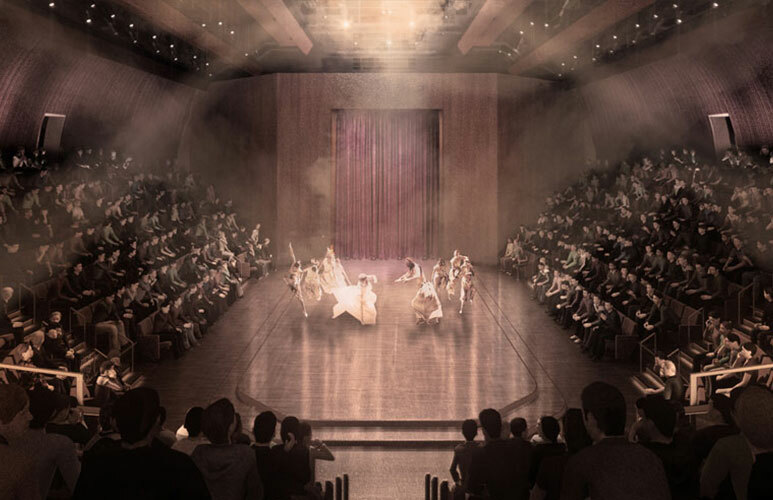 At the Centre's core, wrapped in pale brick masonry, will be a uniquely appointed auditorium with an elongated thrust stage held in the warm embrace of the audience: a theatre reminiscent of its predecessor but with vastly improved comfort and accessibility, as well as superb production capabilities. 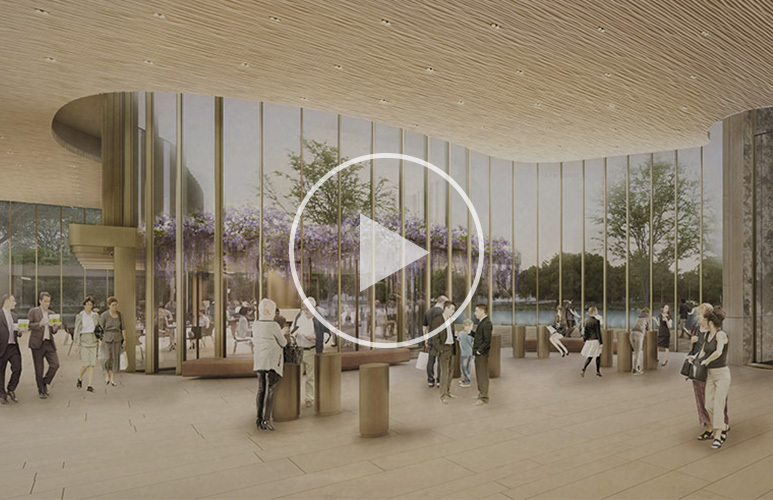 The auditorium will be surrounded by a glass and bronze curtain, reflecting the beauty of the riverbank it overlooks and creating a variety of gathering and presentation spaces within the vast lobby. The project has captured the imaginations of many supporters, including the federal and provincial governments, which have each contributed $20 million - the largest contributions ever made to a cultural organization outside a major Canadian urban centre. Campaign Co-Chair Ophelia Lazaridis has contributed $10 million, as have Dan Bernstein, past Chair of the Festival's Board of Governors, and his wife, Claire Foerster. With a goal of $100 million, the Spirit of the Tent Campaign offers a rare opportunity to be part of the future of classical theatre in North America. We hope you will join us in this thrilling undertaking. Siamak Hariri, of Toronto-based Hariri Pontarini, is the winner of more than 50 architectural awards, including the Governor General’s Medal in Architecture. In 2016, he was celebrated as one of Canada’s Artists Who Mattered Most by The Globe and Mail, which said of his Baha’i Temple of South America, “It is real, it is surprising and it is beautiful.” Closer to home, Mr. Hariri designed the Richard Ivey Building at Western University in London, Ont., and the Schulich School of Business at York University. In 2013 he and partner David Pontarini were awarded the prestigious Architectural Firm Award by the Royal Architectural Institute. “We approached dozens of firms from around the world, but the work of Canada’s own Siamak Hariri stood out and was the Board’s unanimous choice,” says Dan Bernstein, head of the architectural search committee. Why is the Tom Patterson Theatre important? The Tom Patterson Theatre has earned a special place in theatre lovers' hearts. This intimate space, with its unique elongated thrust stage, gives our Artistic Director the opportunity to program works that are artistically important but are seldom produced to the highest standards anywhere else in the world. Many patrons tell us that their most memorable theatrical experiences have been in the TPT. But as a curling rink turned theatre, the original theatre had its constraints: cramped seating, limited backstage and lobby spaces, a fragile roof, and no stage trapdoor, an element often required by classical repertoire. 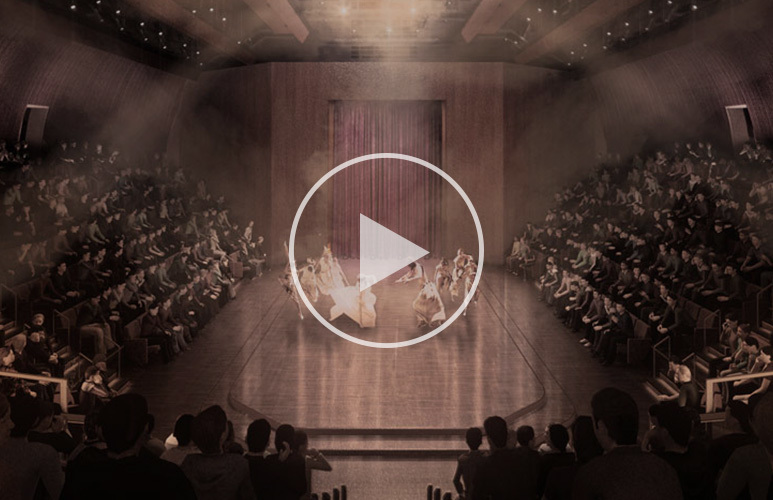 Our new purpose-built theatre will preserve the intimacy that patrons love. It will contain only a few additional seats, and they will be comfortable! Aisles will be easier to navigate and there will be better accessibility for all. The backstage areas will offer the production capabilities and comfort required by the extraordinary talent that works here, allowing actors, directors, and designers to achieve their full artistic vision without restrictions. 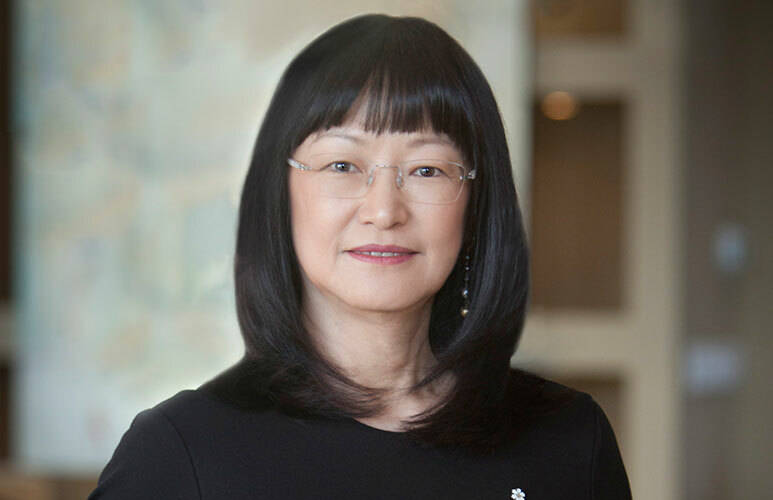 The campaign is co-chaired by Ophelia Lazaridis and Dr. M. Lee Myers, with the Honourable Michael Meighen serving as Honorary Chair. Ophelia Lazaridis was a member of the Festival’s Board of Governors from 2007 to 2014. 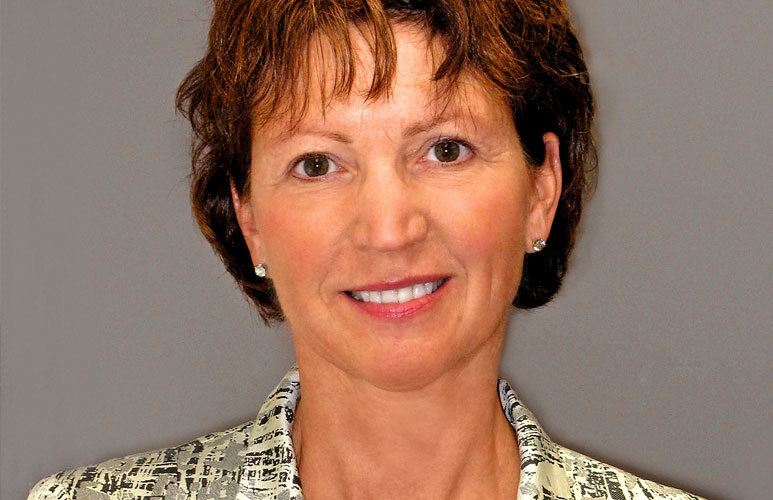 An avid supporter of the Festival’s education initiatives, she served as Chair of the Education and Archives Committee during her Board tenure and has been a key supporter of the Stratford Festival for more than a decade. Dr. M. Lee Myers is a cardiac surgeon at the London Health Sciences Centre. Dr. Myers first joined the Stratford Festival’s Board of Governors in 2002 and was Board Chair from March 2010 to 2012. She is currently a member of the Board of Governors, a director of the Festival’s Foundation Board and Chair of the Campaign’s steering committee and campaign cabinet. 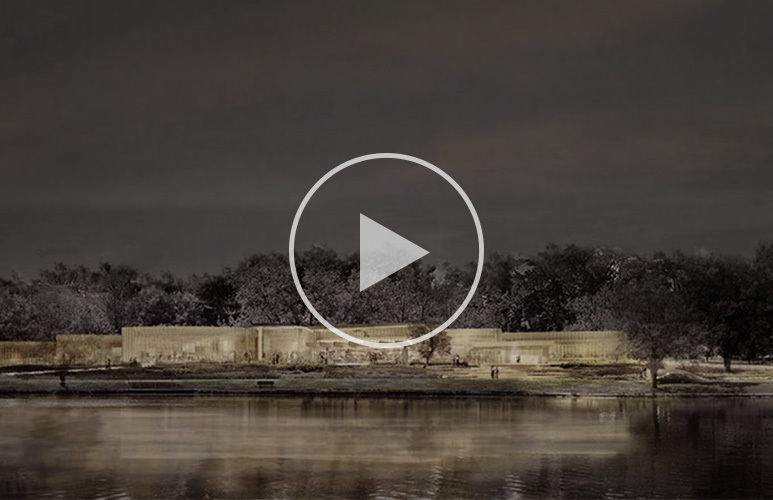 “This campaign will permit us to create a stunning new facility, fund the centre’s new and expanded programs, and ‎ultimately strengthen a very important part of Canada’s cultural heritage,” she says. The Hon. 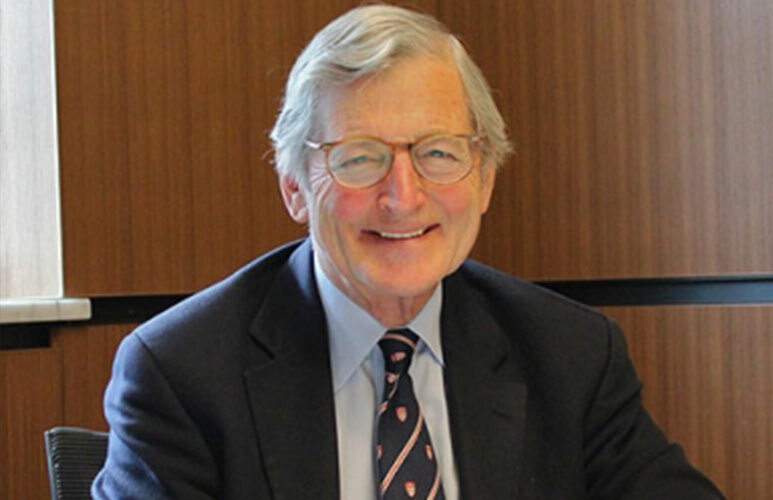 Michael Meighen, a lawyer and retired Senator, was a member of the Festival’s Board of Governors from 1986 to 1997, serving as Board Chair from 1996 through 1997. He was Chair of the Festival’s Act III campaign to renew the Festival Theatre from 1995 to 1997. 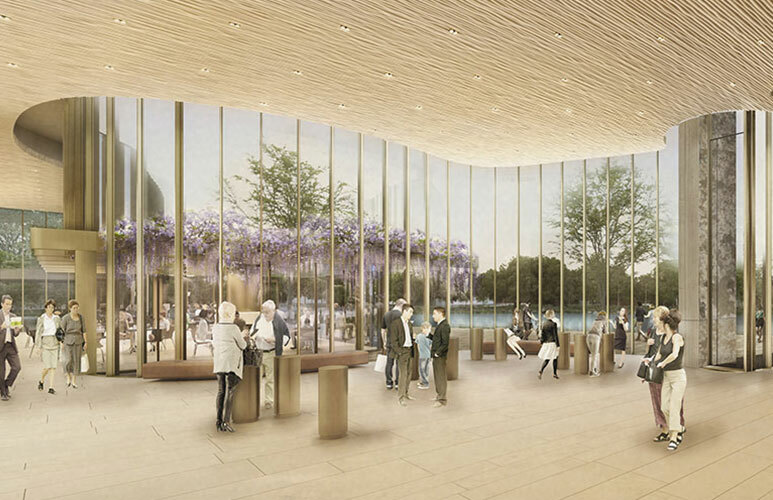 The proposed new Tom Patterson Theatre will stand as a glittering jewel, designed to draw people to the City of Stratford, to the Festival, along the banks of the Avon River, and through the gardens. Inside, the curvilinear design creates quiet folds, eddies where one can engage in quiet conversation, or savour a contemplative moment sheltered from the current of activity. An undulating, shimmering bronze veil wraps the theatre in petals of warmth and light. A breathtakingly beautiful garden is designed to stretch out from each end of the site – a garden that is grand enough to become a local landmark and destination in its own right. The auditorium is the heart of the building, clad in softly lime-washed brick masonry. It retains all that is cherished about the Tom Patterson: the elongated thrust stage, the stepping of the tiers that provide clear sight-lines, and the unparalleled intimacy. BMO FINANCIAL GROUP PLEDGES $1.5 MILLION! On behalf of the Stratford Festival, we extend our warmest thanks to BMO Financial Group for its extraordinary commitment of $1.5 million to name the BMO Box Office in the new Tom Patterson Theatre Centre. “Back in 1952, when the Stratford Festival was just a gleam in Tom Patterson’s eye, BMO stepped up to show its support with a foundational donation,” says Artistic Director Antoni Cimolino. “How very fitting that once again it is BMO coming forward as the first corporate supporter of this exciting project."